The 80 meter long self-propelled barge Ilaria allided with the lock gate on the Main River near Ginsheim-Gustavsburg, Germany. 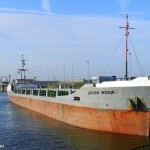 The Ilaria suffered an engine failure while in the Kostheim one lock and was unable to stop before striking the gate. 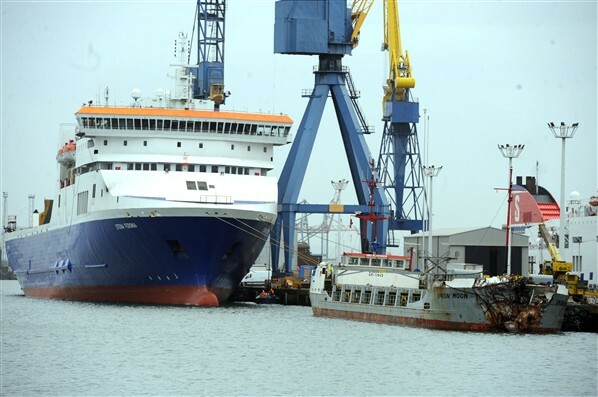 The amount of damage was not reported, but the water police allowed the Ilaria to proceed later that day. The water police is still conducting an investigation into the incident. 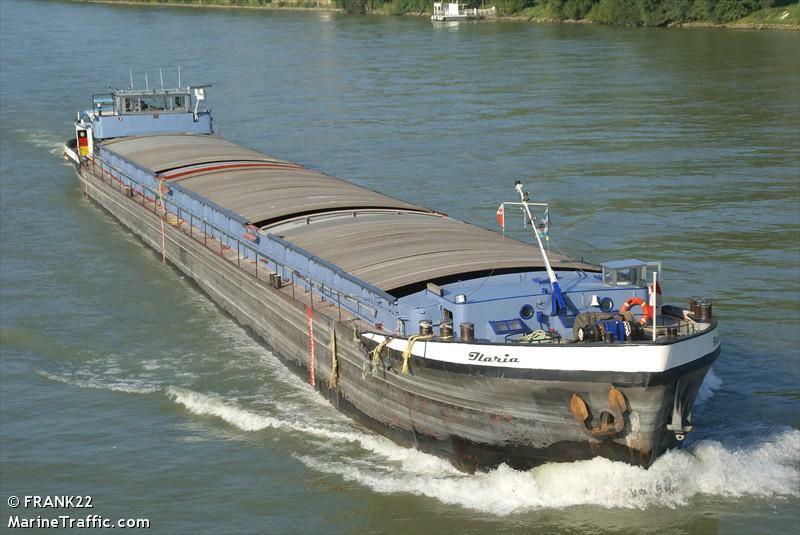 The Ilaria was en route to Nuremberg with a cargo of steel rolls. 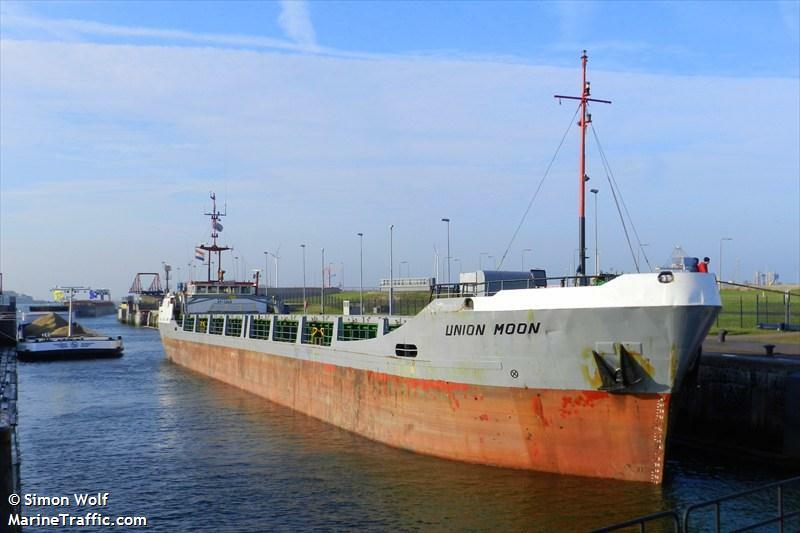 The 87 meter long, 2376 dwt freighter Union Moon collided with the 186 meter long, 1500 dwt ro-ro ferry Stena Feronia in Belfast Lough. 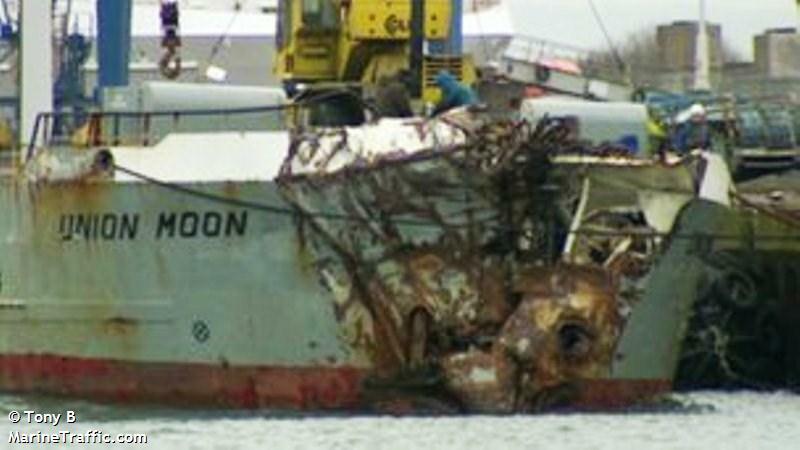 The Union Moon struck into the side of the ferry gashing a large hole in the ferry’s hull. 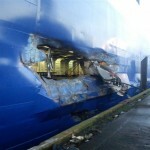 Fortunately, the damage was above the waterline. 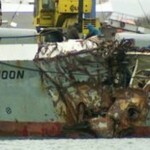 The bow of the Union Moon was crushed, but the watertight bulkhead held and the freighter remained afloat. Multiple RNLI lifeboats responded to the scene (video below) providing support and damage control. 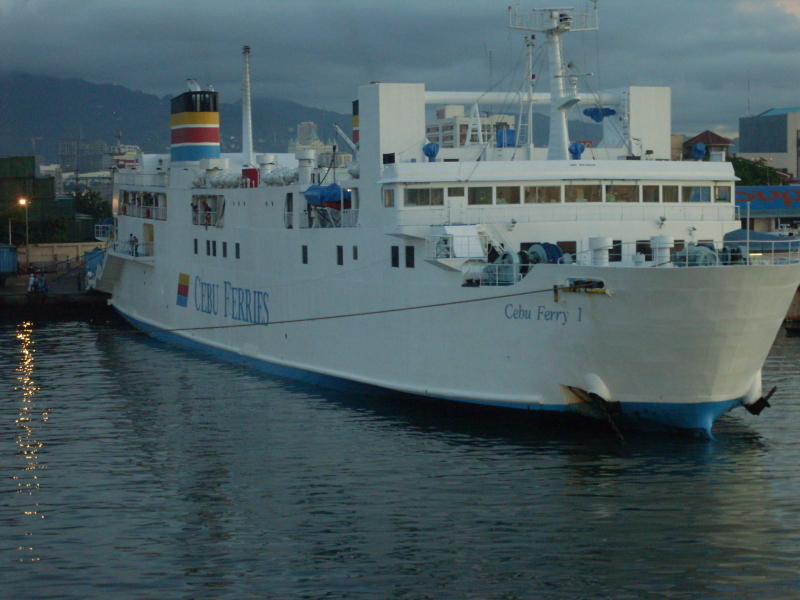 No reports of injuries on either vessel. Both vessels proceeded to Belfast escorted by tugs and the lifeboats. 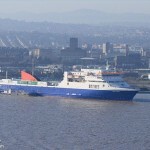 The ferry was en route to Belfast from Merseyside‘s Birkenhead with 51 passengers and 47 crew. Authorities are conducting an investigation into the incident. A report states the master of the Union Moon failed an alcohol test and has been charged. 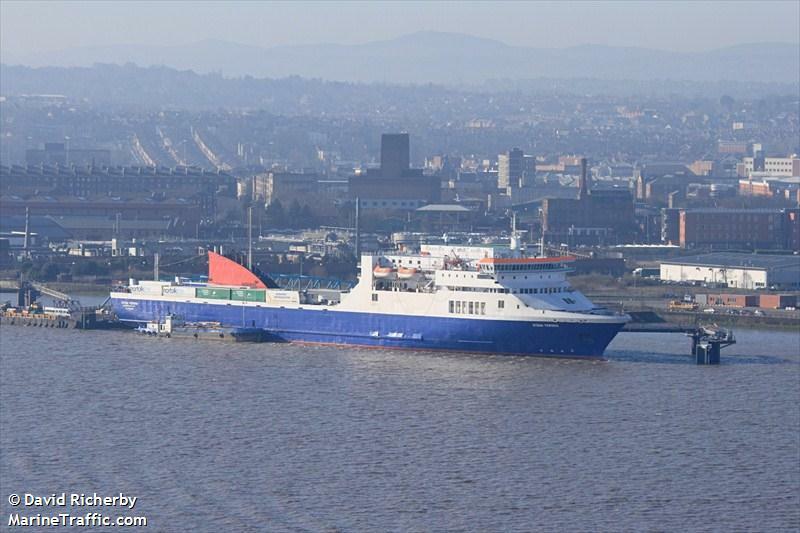 Passengers on board the Stena Feronia stated they heard a loud bang with emergency alarms sounding soon after. 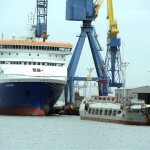 They were instructed to put on life jackets and prepare to evacuate to the lifeboats on board. 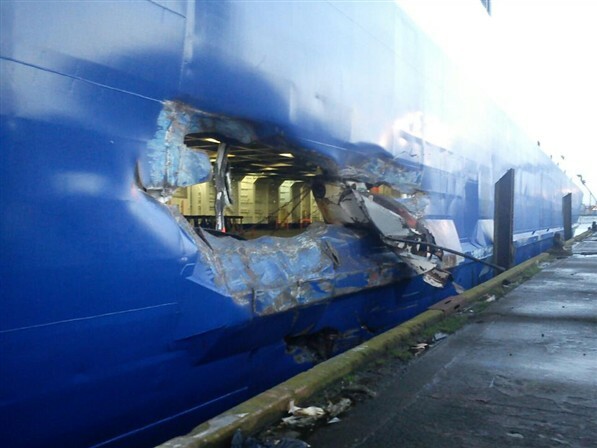 Reports state the crew remained in control and kept passengers calm during the incident.